Melvyn Bragg and his guests discuss the origins and early development of Islamic law. Melvyn Bragg and his guests discuss the origins and early development of Islamic law. 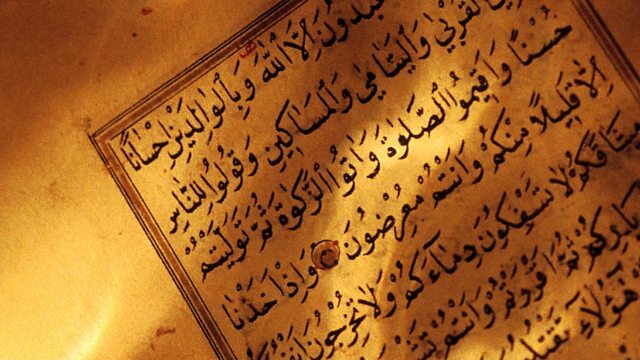 The legal code of Islam is known as Sharia, an Arabic word meaning "the way". Its sources include the Islamic holy book the Qur'an, the words and actions of the Prophet Muhammad, and the opinions of legal scholars. In the 7th century, Sharia started to replace the tribal laws of pre-Islamic Arabia; over the next three hundred years it underwent considerable evolution as Islam spread. By 900 a body of religious and legal scholarship recognisable as classical Sharia had emerged.With:Hugh KennedyProfessor of Arabic in the School of Oriental and African Studies at the University of LondonRobert GleaveProfessor of Arabic Studies at the University of ExeterMona SiddiquiProfessor of Islamic Studies at the University of GlasgowProducer: Thomas Morris. The top ten programmes to listen to from In Our Time's Religion archive.